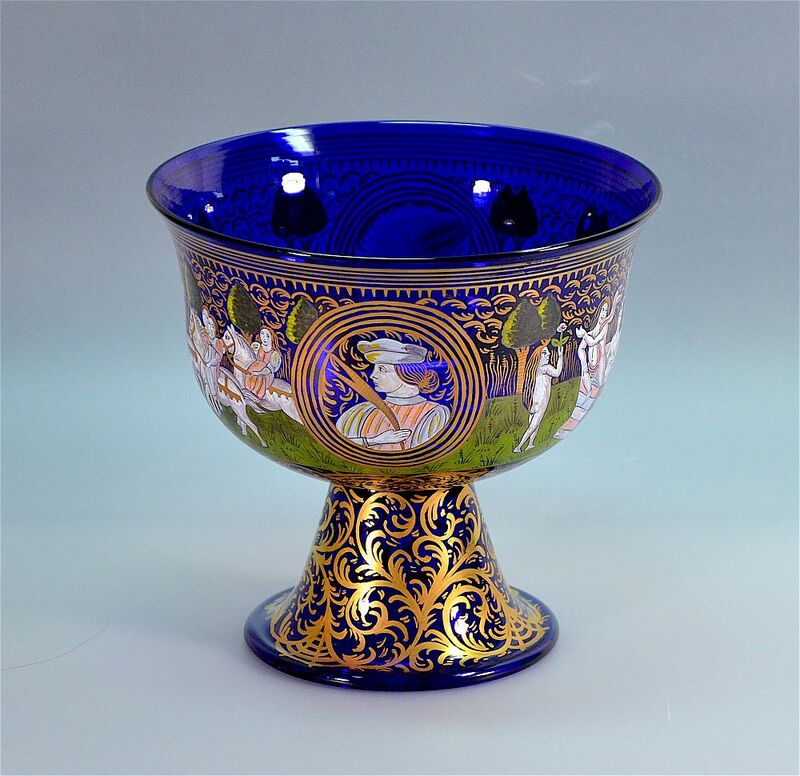 This very decorative "Wedding Cup" or "Coppa Nuziale" is by Barovier and is a 1950-60's copy of the "Wedding Cup" made by Barovier in the 15th century that is now in the Museum of Murano. 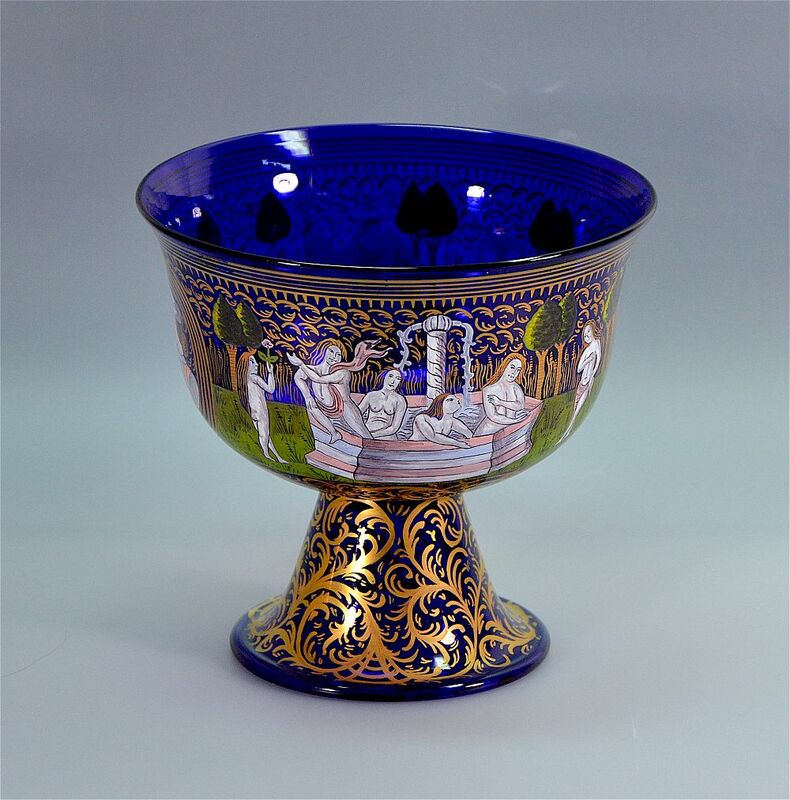 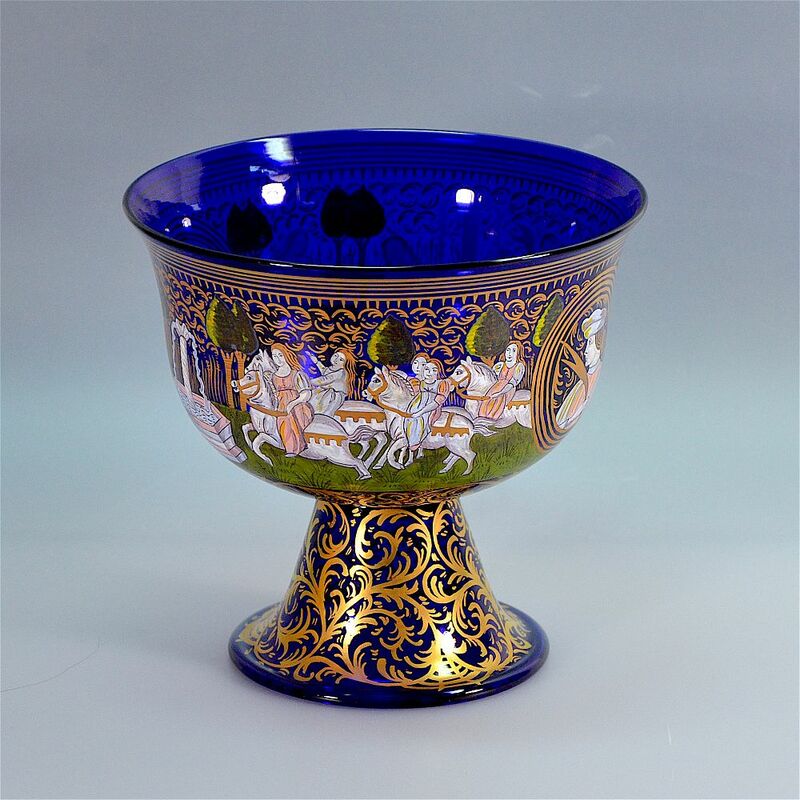 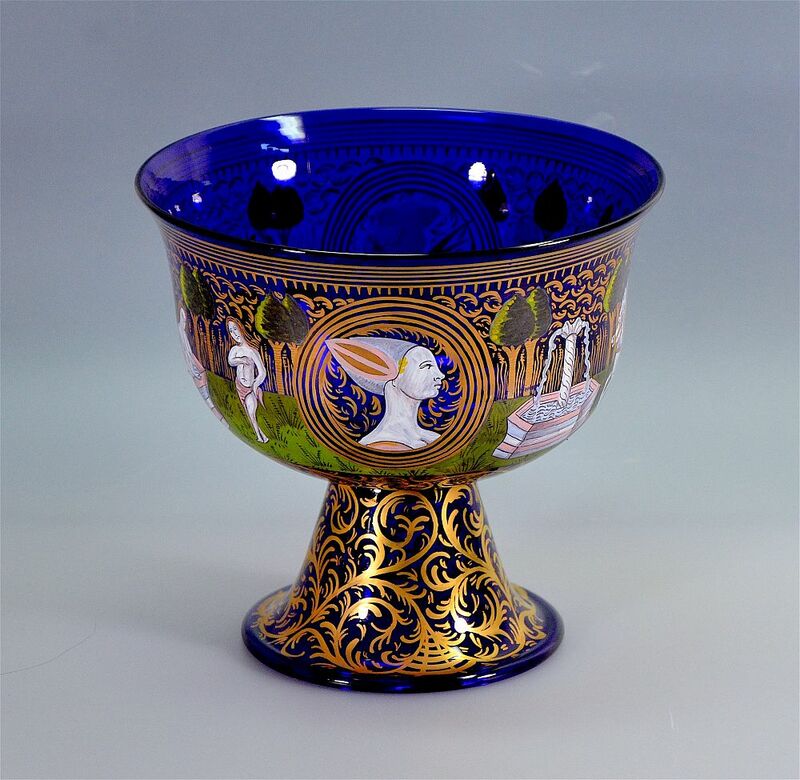 The cup is in blue glass with enamel decoration depicting the bride and groom and a cavalcade of ladies approaching and then bathing in the Fountain of Youth. 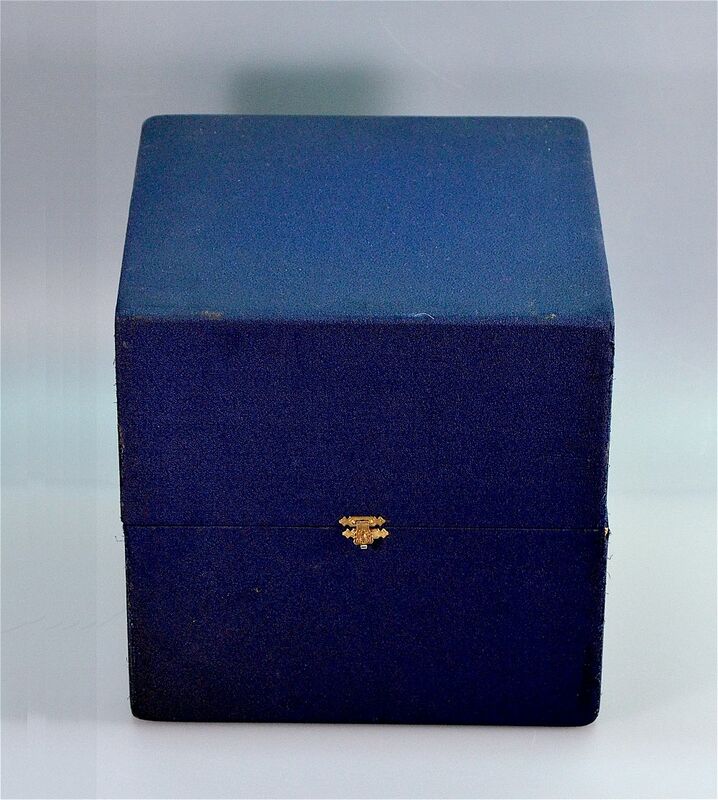 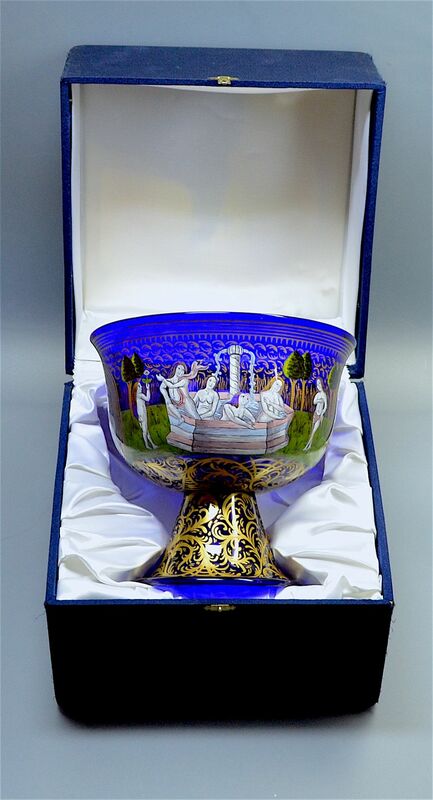 The Cup is signed underneath "Coppa Nuziale Barovier 1470-80 Murano" and is presented in its original blue box.